HOULTON - The RSU 29/70 Adult Education program at the Aroostook County jail has always provided a high school completion option, but the convergence of heightened concerns by County administrators, funding from a County of Aroostook Public Service grant and inmate interest has recently led to a course designed to enhance the re-entry skills of inmates. Discussions with Chief Deputy Darrell Crandall, Jail Administrator Craig Clossey, Programs Officer Peter Duff and members of the RSU 29/70 Houlton Hodgdon Adult Education team led to a program called WorkReady. The WorkReady Credential, a 60-hour curriculum addressing many of the "soft skills" needed to be successful in the workplace, is designed to help individuals who are having trouble getting or keeping a job. It also helps potential employees understand the impact that their personal behavior has on the workplace and their employability. "This is one of the most rewarding programs that we offer," said Adult Education Director Otis Smith. "These students voluntarily come to us ready to learn new life skills and take steps in their lives that will benefit them and their families when they re-enter the workforce." The original, non-corrections WorkReady program has also been modified to address other barriers that may be a factor when individuals who have spent time in a corrections facility are looking for employment. "Simply housing inmates with no effort to modify the behavior that landed them in jail is pointless," said Crandall. "This is just one of more than a dozen inmate programs we have put in place to give these folks tools that may help them become more independent and productive when they get out." The first WorkReady class at the Aroostook County Jail began this spring and ended with the successful completion by two participants. Northern Maine Development Commission (NMDC) supported the program with grant funding to cover the costs. 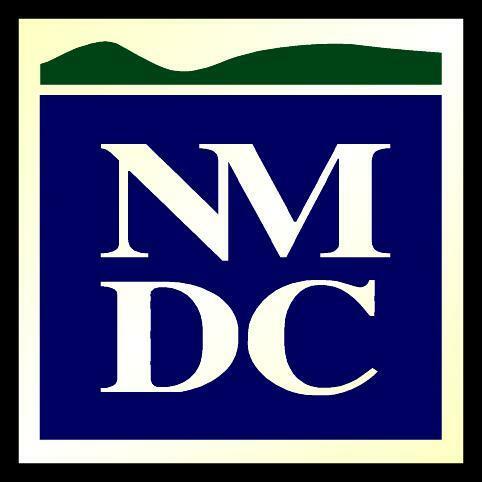 "We were very pleased with the success of this first ever partnership with WorkReady and our County jail," said Ryan Pelletier, NMDC Director of Economic and Workforce Development. "I think these types of programs are critical to the success of reintegration of former inmates and we look forward to working with the County on similar types of employment and training programs in the future." The WorkReady curriculum focuses on several key standards which include: identifying personal motivations and challenges to employment, developing a personal employment plan, appropriate workplace behavior, effective workplace communication, teamwork and problem-solving, conflict resolution, basic principles of getting and keeping a job, understanding wages, benefits, taxes and employee organizations, job searching, effective r umé and cover letter writing and interviewing skills. Upon successful completion of the WorkReady program, participants will not only have a clear understanding of the standards, they will have made important community contacts, practiced interviewing skills, and created a professional portfolio that includes a cover letter, resume, reference list and a WorkReady credential recognized by many employers throughout the state. "Positive change has to start somewhere and we are making opportunities available and at no cost to the taxpayer," added Crandall. "We really value this partnership with RSU 29 and NMDC." Another session is planned for later this year. AROOSTOOK COUNTY - "Without the involvement of the private and public sectors there would be no Aroostook Partnership for Progress," said Bob Dorsey, APP President. Dorsey made that statement when offering thanks to the new and former executive committee for APP. In June, the APP board of directors elected its officers for the next year. Larry Shaw, President MMG Insurance, is the new APP board chairman. Jon Prescott, CEO of Katahdin Trust Company, will serve as vice chair. Bob Clark, Executive Director of Northern Maine Development Commission, also serves as a vice chair representing the public sector. Kris Doody, CEO of Cary Medical Center, and Chris Anderson, President and CEO of FA Peabody, will serve as secretary and treasurer respectively. Doody served as chairwoman last year. Sylvia Getman, CEO of The Aroostook Medical Center was vice chair, Cal Deschene of United Insurance Group was secretary and Shaw was treasurer. "These executives are extremely busy and for them to take time from their businesses and personal lives shows their commitment, the importance they place on economic development in Aroostook and I can't thank them enough," added Dorsey. Dorsey also thanked the board of directors, who meet regularly to discuss APP goals and objectives. "Their involvement is critical," said Dorsey. "Their inputs provide direction and help us focus the Mobilize Northern Maine process and the resulting objectives." 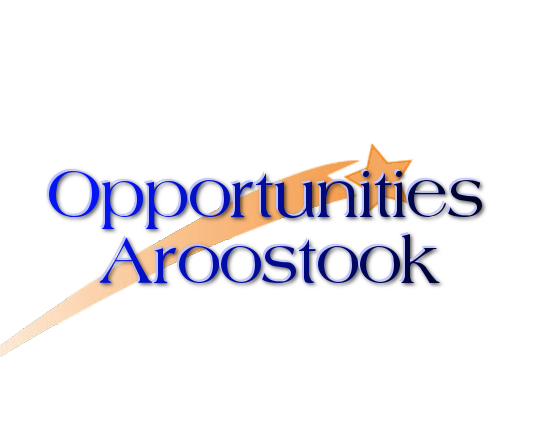 One area of great interest to the board is increasing the number of younger workers to Aroostook. Dorsey recalled a board meeting when Sylvia Getman suggested that more input was needed from younger folks who have chosen to live in Aroostook County. The board agreed with the general sentiment being that we need to understand their perspective and their priorities if we hope to retain or attract more of their generation to our area. From that suggestion, APP has established an informal network with outreach activities being held in central, southern and northern Aroostook to test concepts and get their ideas and perspectives. Another benefit of getting the board together according to Dorsey is, "These are some of the most successful and influential business leaders in the region. They share their insights from the various parts of the economy they are involved with - health care, banking, insurance, manufacturing, retail and more. And when action is needed, they instantly know who to approach or network with to get results." The board of directors meets approximately nine times a year and the travel commitment alone is also to be applauded. "Some investors, like Kim Wadleigh of Emera Maine, travel from the Bangor area to attend APP meetings," said Dorsey. APP is a public/private partnership of more than 25 investors, approximately 150 LEAD members, NMDC and the four area colleges dedicated to aggressive and effective results-oriented economic development actions that leverage the financial commitments and talents of the private sector in close partnership with the public sector. ASHLAND - An Aroostook Partnership for Progress investor celebrates a business expansion in The County this afternoon. Acadia Federal Credit Union hosts a grand opening and ribbon cutting at 3:30 p.m. at its new Ashland branch located at 131 Main Street. "I announced to our employees in December that we were expanding to the Ashland market. In six short months, not only have we accomplished this goal, we have also developed a good membership base," said David Desjardins, chief executive officer of Acadia FCU. "The residents and industries in the surrounding area are very similar to Acadia's current membership base. I believe we understand the financial needs of Ashland area residents and business owners, and we can contribute to the community's growth." The grand opening will provide an opportunity to introduce people to the Acadia staff and get a chance to learn about some of the services and products the credit union offers. In traditional credit union style, the event not only celebrates business but also community. Ryan Jandreau is the branch manager in Ashland. Desjardins said Jandreau's prior work history in the Ashland community would be an asset, as he is familiar with both residents and businesses in the area. Jandreau expressed enthusiasm when asked about his new position, "I am very excited to be a part of the credit union movement. I am eager to get the word out about the benefits of credit union membership and am looking forward to building sound and strong relationships with members of the Ashland community and my co-workers at Acadia. " Acadia Federal Credit Union is a member owned financial institution with more than $126 million in assets, more than 10,000 members and five branch offices in Fort Kent, Madawaska, St. Agatha, St. Francis and Ashland.